Why do you need lifeless deserts or empty plains if you can start a new game among colorful biomes especially in the Aquatic Edition. 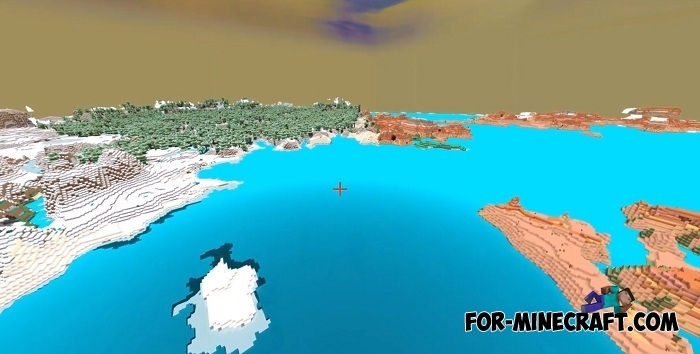 This seed sends the player to an unusual place where three biomes are connected in one place: feel the cold and snow in the snowy biome on the right edge, build your first house in a sandy biome on the ocean or extract tons of mushrooms in the mushroom biome. 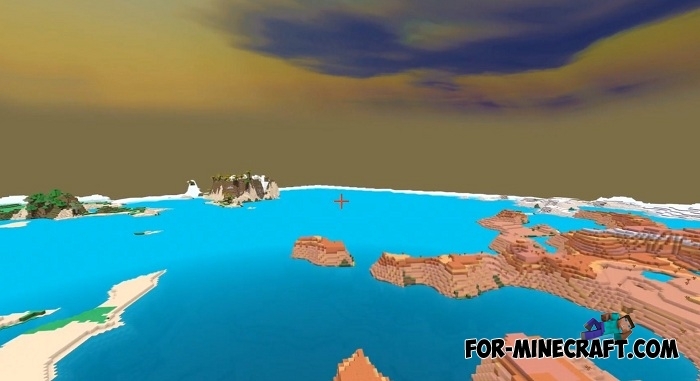 As you can see in this place you will find a lot of different things and in your spare time try exploring the life-filled ocean with different water mobs living there. Especially since the seed does not affect the rest of the generation and does not spoil the gameplay of MCPE 1.5 in any way.